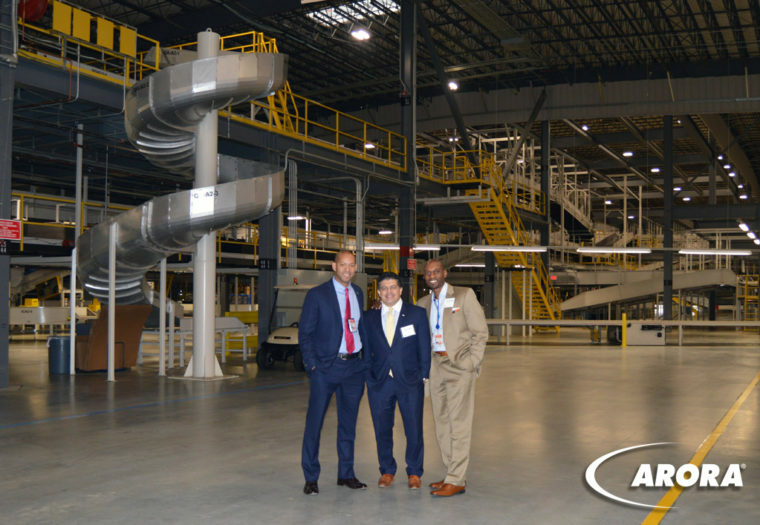 FedEx Ground's Lehigh Valley Hub is Open for Business - Arora Engineers, Inc. 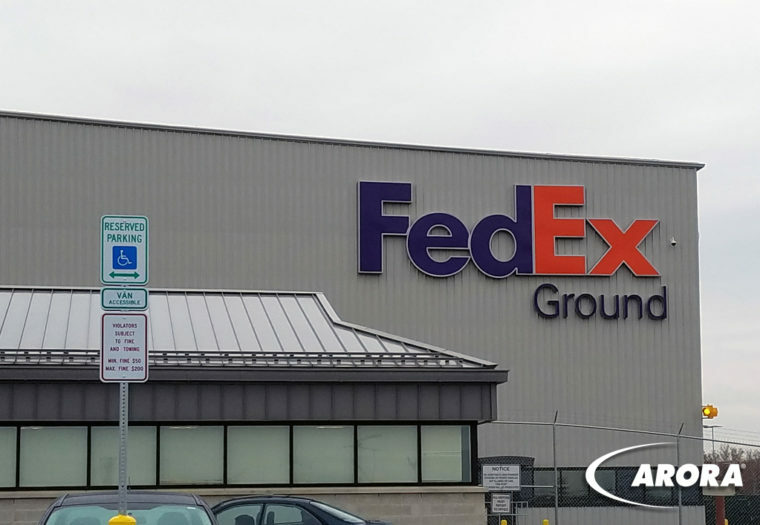 The highly anticipated grand opening of FedEx Ground’s new Lehigh Valley hub took place on Friday, November 9, 2018. 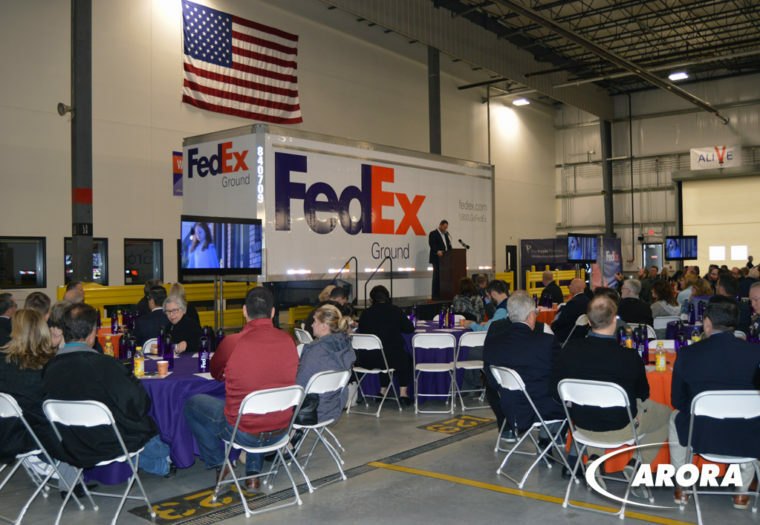 Hundreds attended, including employees, business leaders, and elected officials, to witness the ribbon cutting for the 850,000-square-foot warehouse and shipping center, which has the space to grow into one of FedEx Ground’s largest U.S. centers. 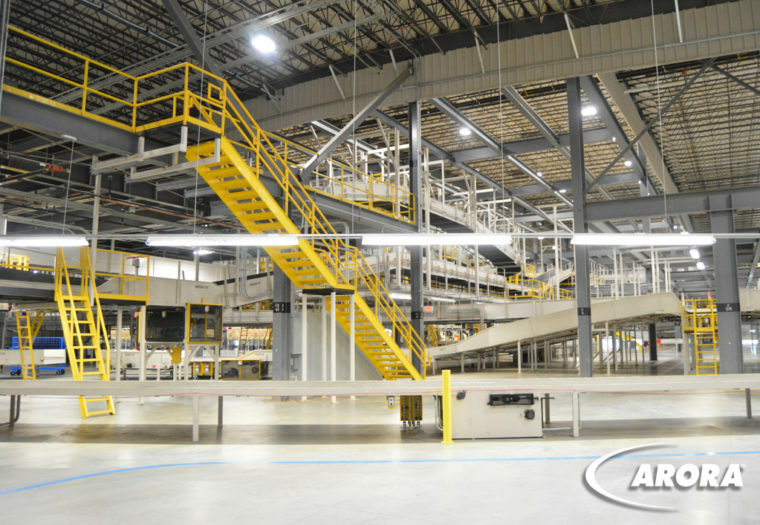 Through the power of automation and a 1,000+ workforce, the state-of-the-art facility can process 45,000 packages an hour, which will help facilitate FedEx Ground’s transition to six-day-a-week delivery. According to FedEx, in the last decade their package volumes have doubled, and they have opened 17 new hubs to account for that incredible growth. “The closer facilities are to an operation like this, the quicker the package comes to you. We want the Lehigh Valley to be at the forefront of that,” says Don Cunninghman, president and CEO of the Lehigh Valley Economic Development Corporation. The land for the facility was purchased from the Lehigh-Northampton Airport Authority (LNAA) for $9.8 million and The Rockefeller Group Development Corporation broke ground in August 2016. As an extension of LNAA staff, Arora was proud to support the development of the facility by preparing the Environmental Assessment, and other environmental compliance documents, to assist the Federal Aviation Administration (FAA) in the Land Release.